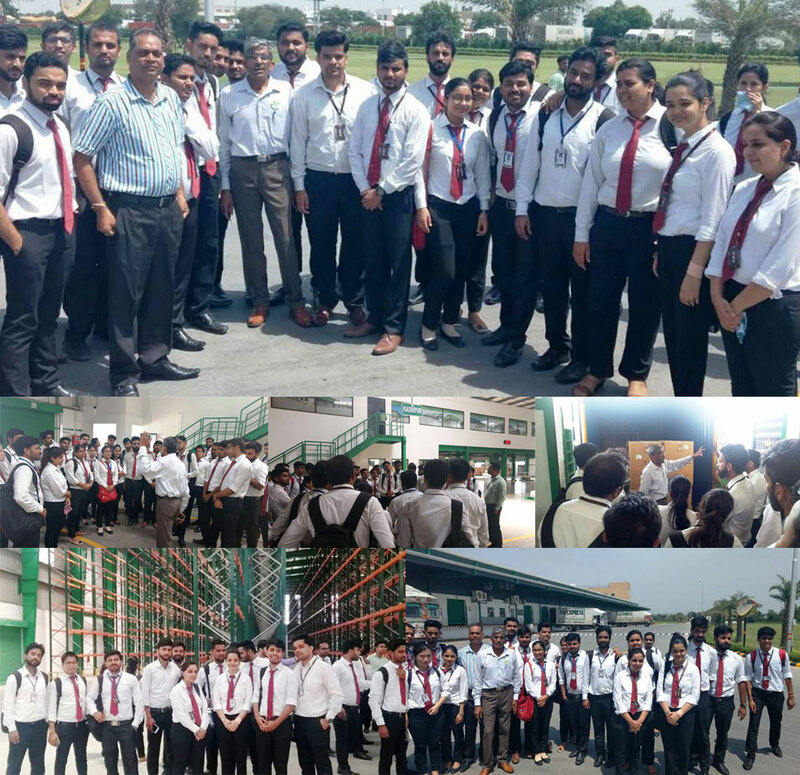 Under the strategic guidance of Dr. Urvashi Makkar, Director General, to strengthen the Industry Academia Interface, 47 students of PGDM batch 2016-2018 along with faculty members of GL Bajaj Institute of Management & Research, Greater Noida visited the Safexpress Logistics Park, Manesar, Haryana on August 18, 2017. Safexpress is the 'Knowledge Leader' and 'Market Leader' of supply chain & logistics industry in India. 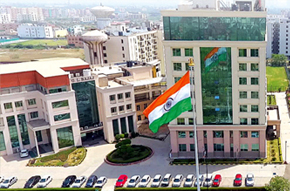 The firm provides value-added logistics services for 9 different business verticals ranging from Apparel & Lifestyle, E-commerce, Healthcare, Hi-Tech, Publishing to Automotive, Engineering & Electrical Hardware, FMCG & Consumer Electronics and Institutional. During the Industrial Visit, students of GLBIMR visited the Logistic park of Safexpress located in Manesar. Mr. Mohinder Gotwal (Operation Head) explained the functioning of its Third party logistic services, express distribution services, vendor managed inventory system and Safexpress B2C services to the students. Mr. Gotwal also answered the questions of students related to job opportunities in Logistic Management and Supply Chain Management Industry. It was a highly informative visit and students got the opportunity to witness and understand the functioning of a logistics firm.